Here are 4 jobs where machines are currently commonplace and 4 jobs where they will be commonplace. 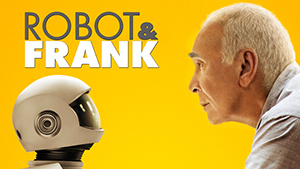 In 2012, Frank Langella and Peter Sarsgaard starred in a movie titled Robot and Frank. The story follows an elderly gentleman who is forced to accept in-home care by his son. Rather than secure a traditional home care worker for his father, the son purchases a robot to do the job. What ensues is an amusing, yet bittersweet, tale of Frank (Langella) developing a bond with the robot (voiced by Sarsgaard). Though I will not give away the plot (it’s worth checking out if you haven’t seen it), the story reminded me that robots and Artificial Intelligence (A.I.) are becoming more ubiquitous in our everyday lives. You don’t have to look far to see that we are on the verge of another industrial revolution where machines will replace humans in jobs we once thought would never be done without human intervention. We won’t have to worry about machines taking all of our jobs tomorrow, but we must be aware that this current wave of innovation is irreversible and will change the way we view work and the role we’ll play going forward. How many of us wish there were more self-service check out aisles at the grocery store, especially when we have only a handful of items. The next time you go to the store and only have five items, notice whether you automatically search for the self-service aisles. Likewise, how many of us would rather handle straightforward, financial transactions online or at an ATM than stand in line waiting for a teller? A staple of the Amazon experience is their ability to fulfill millions of orders each day on a global basis. As we read about warehouse staff working long hours with few breaks, simultaneously, more robots are doing the stacking, counting, picking and shipping while humans simply babysit the machines. This scenario is very common as companies like Amazon look to drive innovation and increase efficiency. Manufacturing, perhaps more than any other area, has seen a significant increase in machines handling tasks faster, longer and more efficiently than humans ever could. Everything from roasting and packaging coffee beans to automobile assembly are commonly done by machines today. What is more common these days is the “hand crafted” product, where items built by an individual is seen as a rare luxury and is always more expensive. With more B2B customer portals coming online featuring intelligent, self-learning capability, suppliers are reducing the need to have personal contact with customers except where high-level, strategic interaction is necessary. 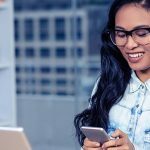 Likewise, customers prefer self-service solutions where they can gather information they need quickly without having to wait for someone to return a phone call. The consumer side continues to see progress in this area as well by incorporating intelligent sales and support via chatbots and phone automation designed to handle sales, inquiries, returns and recommendations. The invoice-to-cash and procure-to-pay processes are fertile ground these days for fintech innovation and investment. 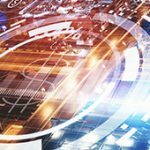 We are beginning to see major shifts designed to significantly transform how companies create, submit, process and pay invoices. 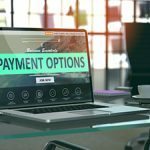 Electronic invoicing, and the automation around it, has been around for a while, but we are now seeing more innovation and technology to streamline and remove manual intervention from tasks such as collections, payment and cash application. Paper still plays a dominant role within our current financial ecosystem, but with advances in the areas mentioned, paper will begin to disappear at a faster rate on both the invoicing and payment side reducing the need for human involvement. The days of talking to a loan agent to determine the best loan for your personal or business needs will soon be a thing of the past. Loan applications and decision making around credit worthiness are already being transitioned to and managed by A.I.-based solutions. Machines not only make decisions faster, they can process and analyze significantly more data and review a multitude of possible scenarios and outcomes in ways humans never could. We hear of driverless cars in the news, mostly because they continue to crash and cause serious harm to individuals. The loss of life is no small thing, but that will not stop the advancement of artificial intelligence being used by companies like Uber and Lyft. In the next ten years, we should not be surprised if an actual human driving for Uber is more of a novelty than the norm. In the same respect, commercial trucks may be driven by A.I.-enabled solutions to some degree. As our economy continues to grow and our highways become more crowded, getting goods across the state or from one region of the country to another may require more A.I.-based transportation solutions or at least some form of A.I. assistance to help human drivers battle fatigue during those long hauls. This role appears to be ideally suited for A.I., as it requires the analysis of statistical models to determine the probability and costs associated with events such as automobile accidents, home fires, etc. There are individuals that go to school to learn this discipline but, in the next ten years, we should begin to see A.I. 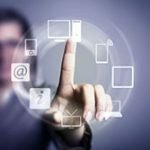 take over these responsibilities while the analyst simply manages the technology. Robot and Frank is just one example of technology replacing a role we believed would always be done by humans. The tale of a man and his robot is fiction, but we can’t help but think that fiction, in many instances, turns out to be truer than we sometimes would like to believe.